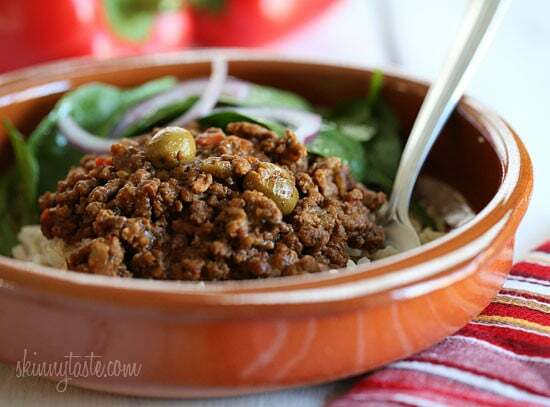 Picadillo, a flavorful Cuban dish made with ground beef and a sauce made from simmering tomatoes, green olives, bell peppers, cumin, and spices is one of my family’s favorite weeknight meals. Trust me on this one, if you want a recipe the whole family will love, this is it! I grew up on this dish and my friends used to love eating over when my mom made it for dinner. This was probably one of the first recipes I ever learned how to cook and I make it at least once a month, although usually on the stove. 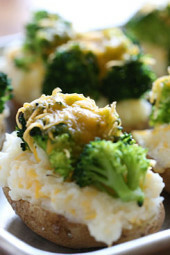 (stove top version here) It’s inexpensive, kid-friendly, freezer friendly and gluten-free. I knew this would adapt nicely for the slow cooker, and I was right! In fact, I think it’s even better since the lean beef cooks longer and becomes very tender the longer it simmers. This makes a lot, so you’ll get several meals out of it. 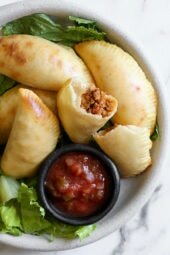 We serve it over brown rice, we make tacos with the leftovers, and I am going to post a second recipe using the leftovers. Don’t you love a recipe that can serve as two different meals! 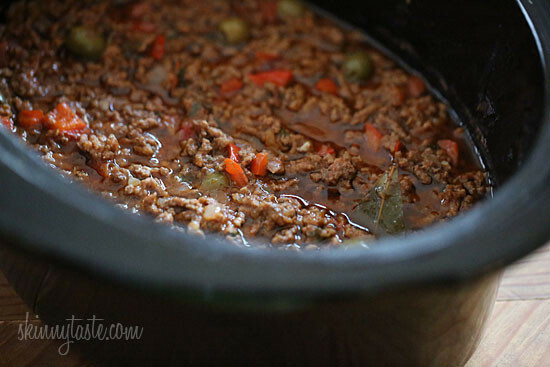 Anytime you use ground beef in the crock pot, you’ll need to brown it first on the stove. Since the skillet is already out, I threw the onions, peppers and garlic in with the meat to let the flavors bloom. If you want to prep this the night before, the meat is fully cooked, so you can add all the ingredients into the crock pot, then refrigerate. The next morning plug it in and go to work, or go on with your day. When you come home, you’ll just have to make some rice and a salad and dinner is ready! By the way, lean beef is the meat of choice for this dish in my house, but you can also use lean bison or ground turkey if desired. 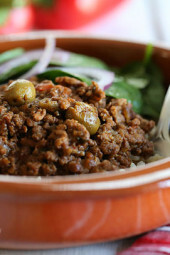 Raisins are commonly added to this dish, but we prefer this without. Brown meat in a large deep skillet on medium-high heat; season with generously with salt and a little pepper. Use a wooden spoon to break the meat up into small pieces. When meat is no longer pink, drain all the liquid from pan. 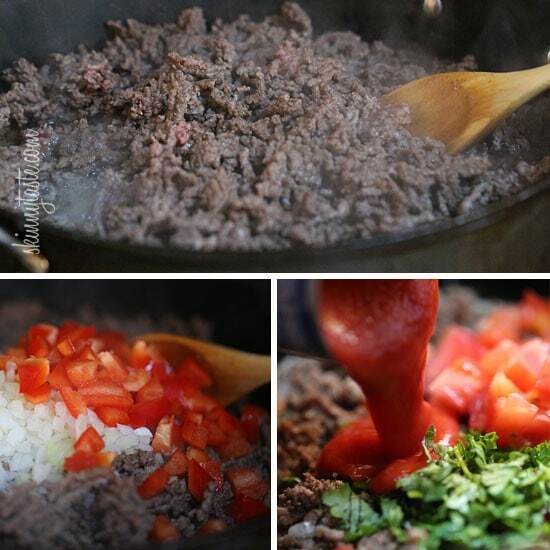 Add the onions, garlic and bell peppers to the meat and cook an addition 3-4 minutes. Set slow cooker to HIGH for 3 to 4 hours or LOW for 6 to 8. After it’s ready, taste for salt and add more as needed [I added a little more cumin and garlic powder at the end as well since the crock pot tends to mute the flavors of herbs and spices]. 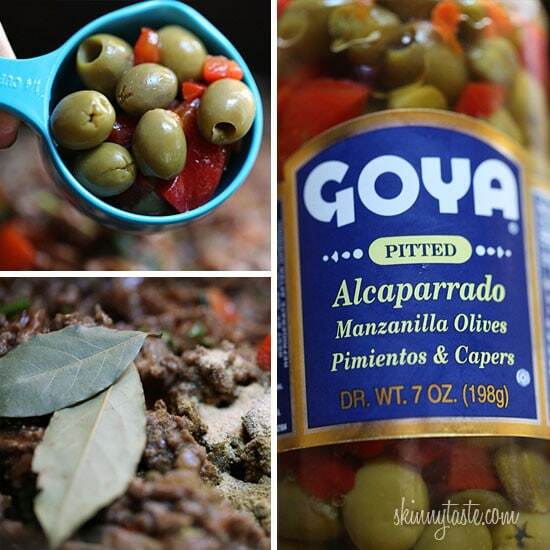 Discard the bay leaves and serve over brown rice. Makes about 5 3/4 cups. I just tried this last night but added mango/peach salsa. So great!! 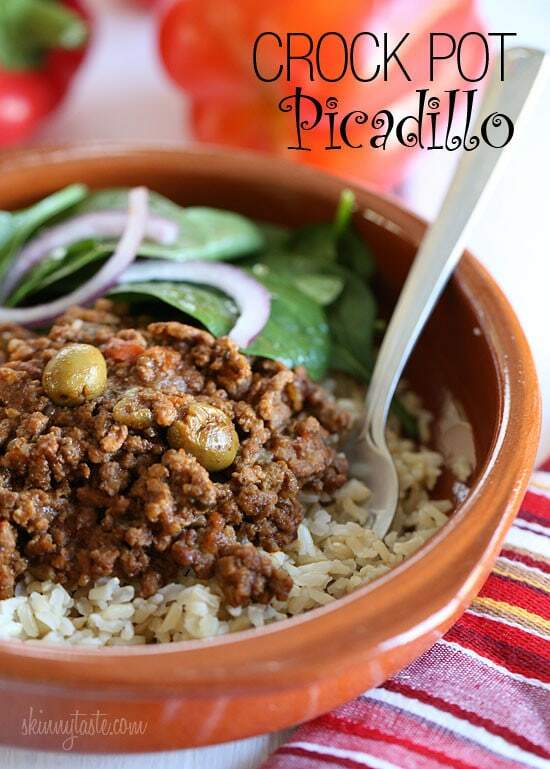 I’ve added diced carrots to the picadillo, I usually have a green salad on the side, or a side of tomatoes & cucumbers. I’ve had a small bowl of steamed broccoli on the side as well. 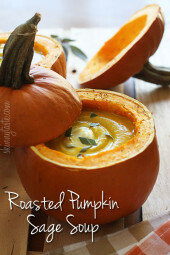 Does anyone have recommendations for a vegetable side to go with this?This is so delicious as others have been saying! Also I did calculate using the recipe builder for people doing smartpoints and I do get the 3 points per serving as is noted. I make cauliflower yellow rice with this. Take a bag of frozen riced cauliflower or fresh if you prefer. I microwave per directions, heat a sauté pan with a tiny bit of Olive oil and place the microwaved riced cauliflower in the pan add a little salt and pepper, a packet of Vigo Flavoring and Coloring (a Spanish seasoning for yellow rice) and a pinch of saffron ( optional). I add a little chicken broth to get everything mixed together and then simmer until the broth is gone. Tastes and looks like yellow rice! !